Wow, what a year!! It’s hard to know where to start. We have been to Parliament, India, New York and many schools in our local area. Who would have thought an in school campaign involving all 1,600 students would lead to this? It started with Desmond Swayne, our local MP, visiting school for an interview and our subsequently travelling to London to present him and Stephen O Brien MP, former Parliamentary Under Secretary of State for International Development, with our campaign model. Thus began what turned out to be the best year of our lives. 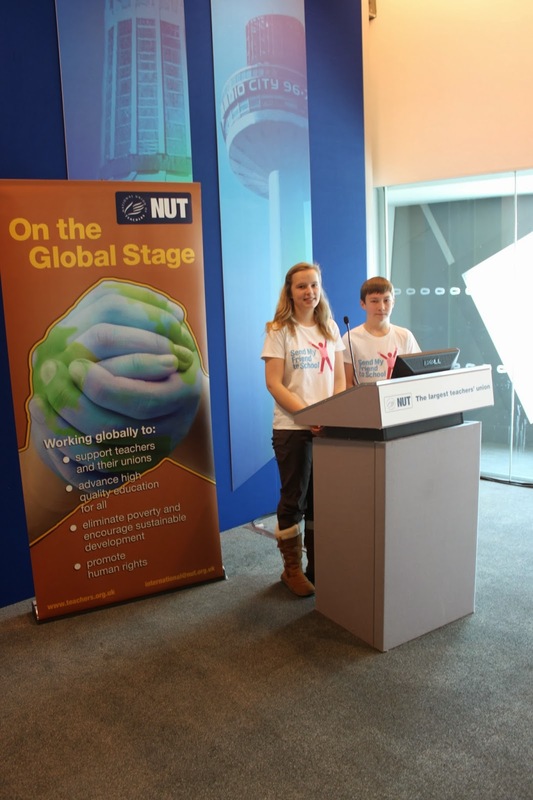 We then entered the Steve Sinnott award to become the Young Ambassadors for the Global Campaign for Education 2013. We remember to this day the moment we were told by our teacher, Mrs Hickman we were successful; an emotional time; we just could not believe it!! Then preparation started for our week-long visit to India in February half term. We created comics of our school, and of our home lives, and collected resources to donate to the education projects that we would visit and so we were all set and ready to go. 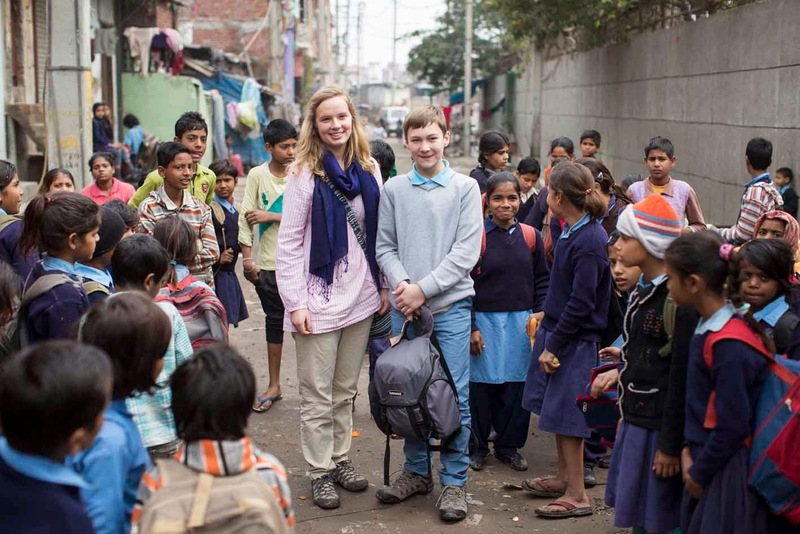 The visit to India was an eye opening and emotional roller coaster. This incredible place was a kaleidoscope of colours and a cacophony of sound, and its people who were so welcoming touched us with their kindness and hospitality. 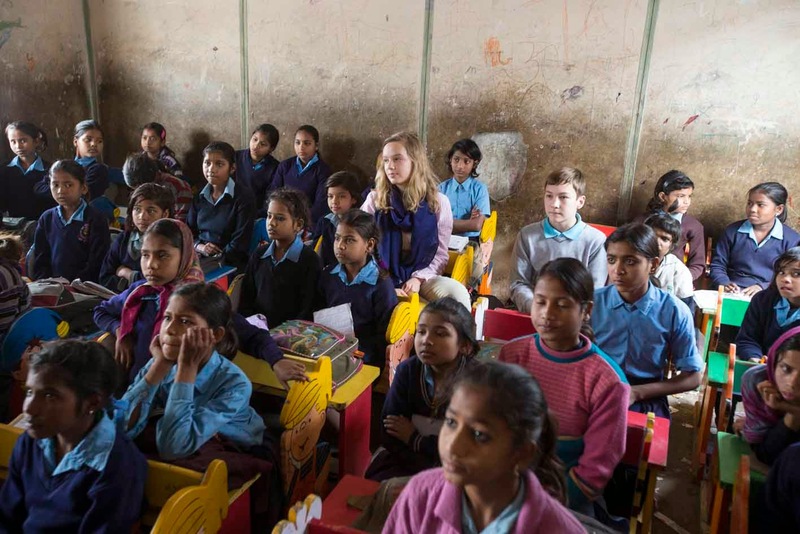 Getting an education was extremely tough for them and we heard many harrowing stories. We were able to stand with them at a public hearing to support and give evidence about the issues we had seen and we felt we were making a difference. We will never forget both the people and organisations we met in India. The things we saw and the stories we heard gave us the energy and enthusiasm to drive the campaign forward. 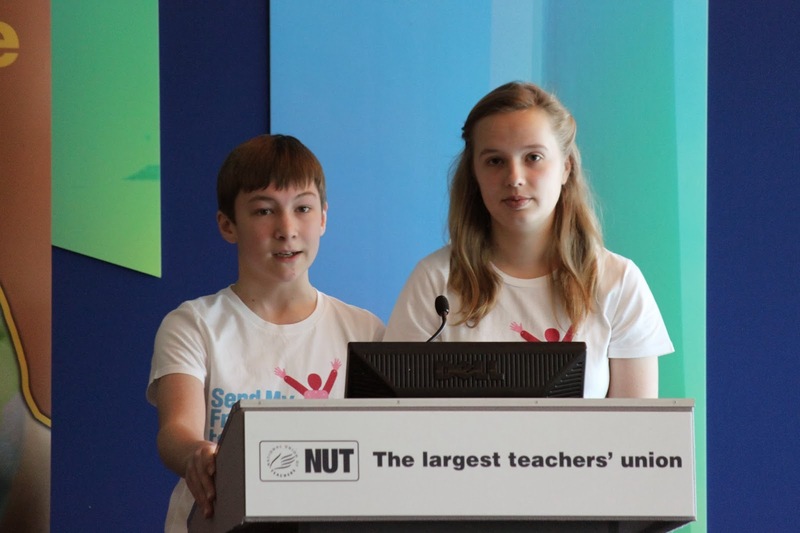 On our return we presented our findings at the national NUT conference in Liverpool. In addition we shared our experiences and drove the campaign though assemblies and visiting other local schools. During the year we spread our message of the barriers to education and the injustice that so many face. We estimate we have touched over half a million people and about 5000 schools signed up for the Send My Friend to School Campaign. We have tweeted and blogged throughout the year to keep the campaign alive, and we were able to talk to the All Party Parliamentary Group on Global Education. Later in the year we held an ‘Education for All Day’ at our school which was a great success and much enjoyed by both students and teachers. Puppets were made that we compared with those made by disadvantaged girls in Delhi. Over the issue of what makes a good teacher, differences were staggering. We also ran a successful activity to highlight the importance of water, having noted that water, in different ways, had a big impact in the Delhi slums. During the afternoon, junior school pupils came in to join us in similar activities. Being invited to attend Malala Day at the UN was a huge privilege. We were able to represent the thousands of school children in the UK who campaigned for the ‘Send My Friend to School’ campaign. 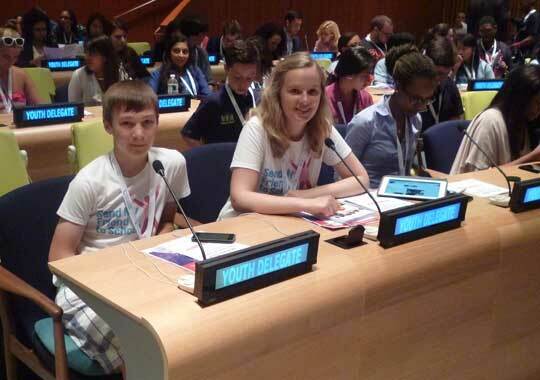 On arrival in New York we met and spoke to young campaigners from all over the world, sharing ideas. A meeting with Philip Parham (UN Deputy Ambassador for UK) was inspiring and we learnt his own ‘take’ on Education for All. Malala Day was incredible; the passion and motivation ignited by that day is hard to explain. To hear Malala and Ban-ki-Moon and to speak personally with Gordon Brown were huge privileges. So many friends were made in New York with whom we maintain regular contact. Promoting this vital campaign has been a huge honour, and we have enjoyed every minute of it. There are so many people to thank for all their encouragement and support in particular Mrs Hickman from our school, John McLaverty of Oxfam, our local MP Desmond Swayne, Maju Varghese, the Oxfam team in India, the Steve Sinnott Foundation and Karen Garvin of Action Aid. There are many others that have supported us as well, so thank you to you all. We have learnt a great deal about people, poverty and advocacy and we know that our experiences have altered our perceptions and the direction of the rest of our lives. We believe we have done our utmost to promote further the Send My Friend to school Campaign and know that now we must all work together to make the world a better place through promoting education for all. This is a long and challenging journey but we must live in hope. 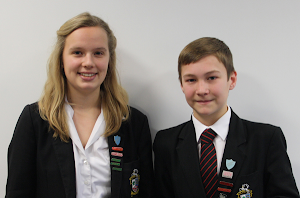 The time has come to pass on our role to Maisie Le Masurier and Rebecca Unwin the new Young Ambassadors for 2014. We would both like to congratulate you and wish you a successful year. We can truly say you are in for the time of your life. We will continue to campaign until all our friends have been sent to school!